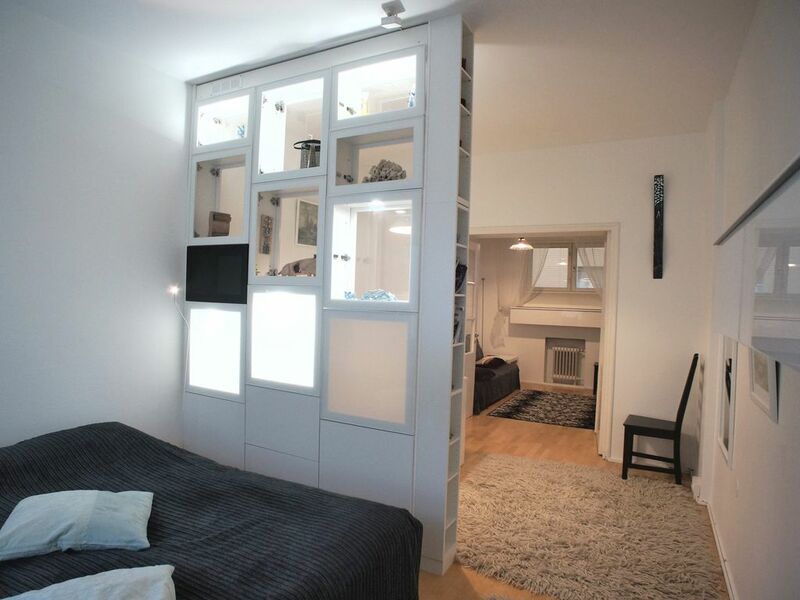 Ullis Apartment offers accommodation in Helsinki, 1.5 km from West Harbour Ferry Terminal. The unit is 1.6 km from Kamppi Shopping Center and 300 m from the sea shore. Finnish restaurant, sushi bar and pizzeria are available on the same street. Food store at 2 minutes walk. Boutiques and exclusive shops at walking distance. You can enjoy the silence and privacy of a luxury flat. Share your memories online with free high speed wifi wireless connection. Perfect up to 4 persons: 2 separate sleeping areas offer privacy without breaking the harmony of a warm vacation. An oasis of silence in the heart of the city, welcome! Shower, toilet, washbasin and drying-washing machine. 40 inch Flat screen Sony. Sofa bed, which sleeps 2 persons. ULLIS PEARL is located in Ullanlinna - the southern-most city district of Helsinki, in Finland. The name Ullanlinna refers to the fortification line that was built at the southern edge of the area during the 18th century. 300m from the sea, 1000m from the shopping centers, you can take a boat to a romantic dinner in Uunisaari, or spend the evening tanning on the terasse of Carusel. You can try traditional finnish cuisine at Central, Ursula or SeaHorse, or just have small trip to the fortress of Suomenlinna. You can also enjoy public sauna "LÖYLY" about 1 km away. More details and tips at arrival in the welcome-packet.